Unsure of what to do with your old trampoline now that you’re looking into getting yourself a brand new, top quality trampoline from us at Topline Trampolines? We have the solution for you! It’s always a good idea to find new ways to use things once they’ve reached the end of their life so that you can avoid waste. We’ve found the perfect way to not only recycle your old trampoline, but create new life with it too. 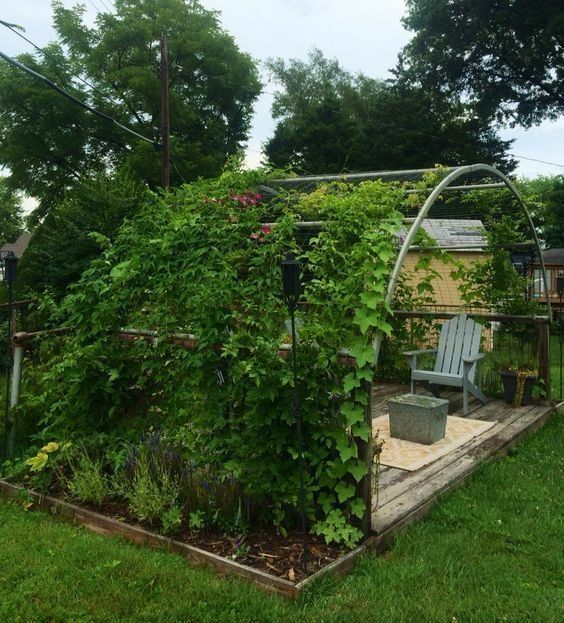 By using the frame of your old trampoline, you can create a beautiful plant archway. Placing the frame at the end of your garden will allow your plants to grow along it. Not only is this a great way to encourage the growth of new life, but it’s also a stunning feature for your outdoor living space! We’re lucky enough to live in a country that allows us to garden all year. So take advantage of it this autumn and create yourself a natural feature with your recycled trampoline. If you’re thinking it’s time for a new trampoline, give us a ring! Our expert team will get you sorted with a top quality trampoline.